The Pacific's bounteous Isle - so close, yet a million miles away. 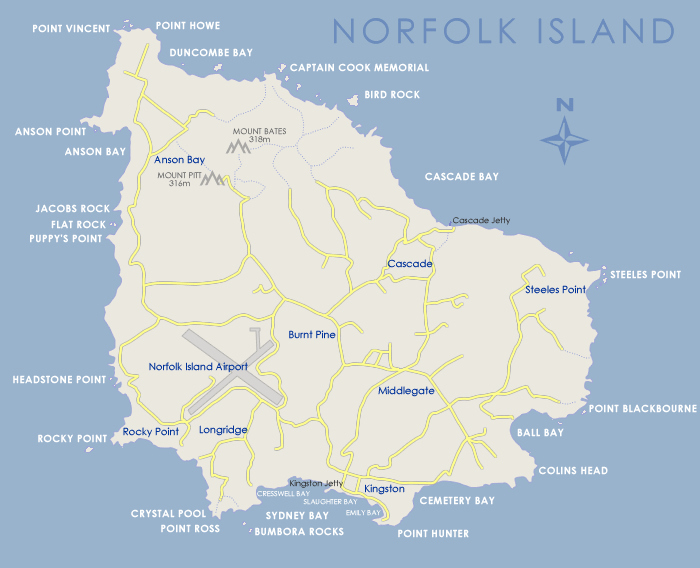 Detailed Norfolk Island Map. See how close the airport is to Burnt Pine, the main town on the island.